Well, I have some pipes I'd like to sell. Maybe you all would like to buy some. I'll take it slow. Here's number 1. 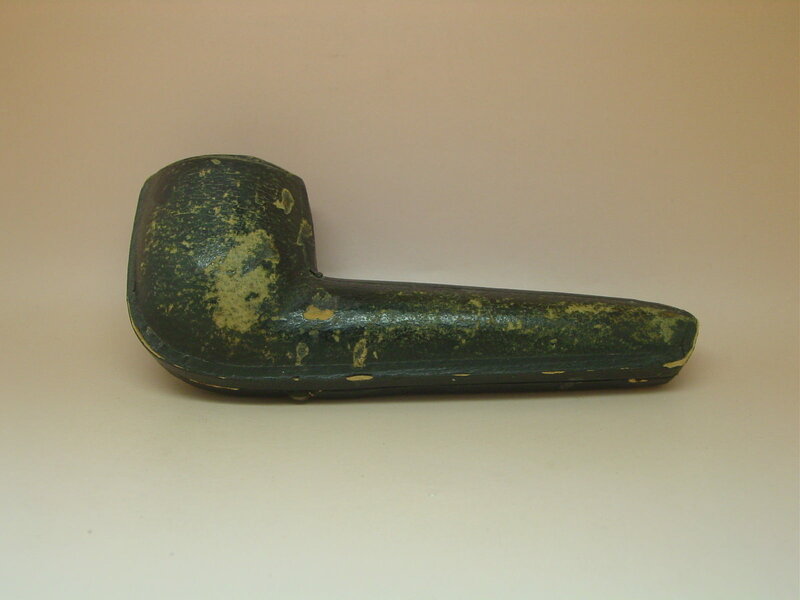 This is WDC Triangle Bakelite medium straight billiard pipe. Based on ads I have seen my opinion is that this is probably a 19teens pipe. The bowl is in very good condition and it has a complex swirling grain. 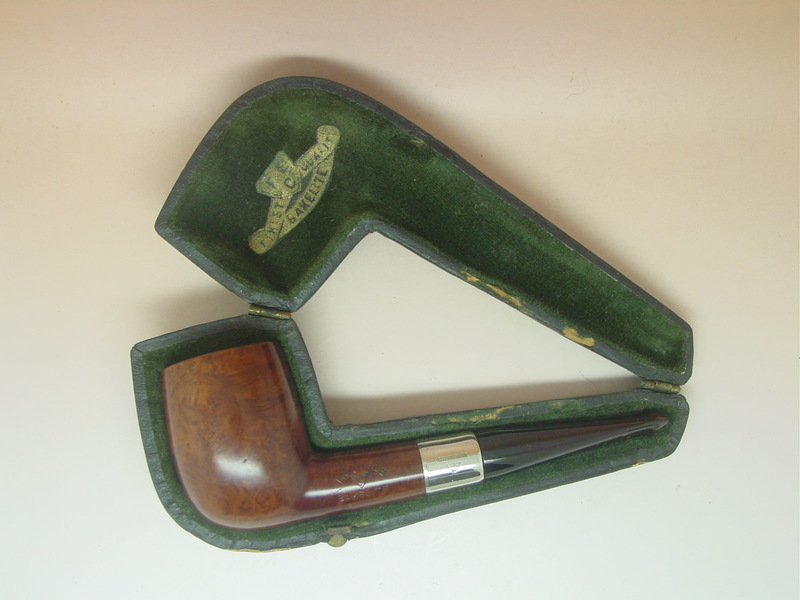 The left shank is stamped with the WDC triangle logo and has “Triangle” over it and “Bakelite” under it. There is a small fill under the word Triangle. The rim is sharp and clean, it does show a few very small nicks. The carbonized chamber is straight and true. The draw is very open. There is a lot of smoking life left in this pipe. The nickel plate collar is in excellent condition and stamped with the WDC triangle logo and the words “Electro Silver”. 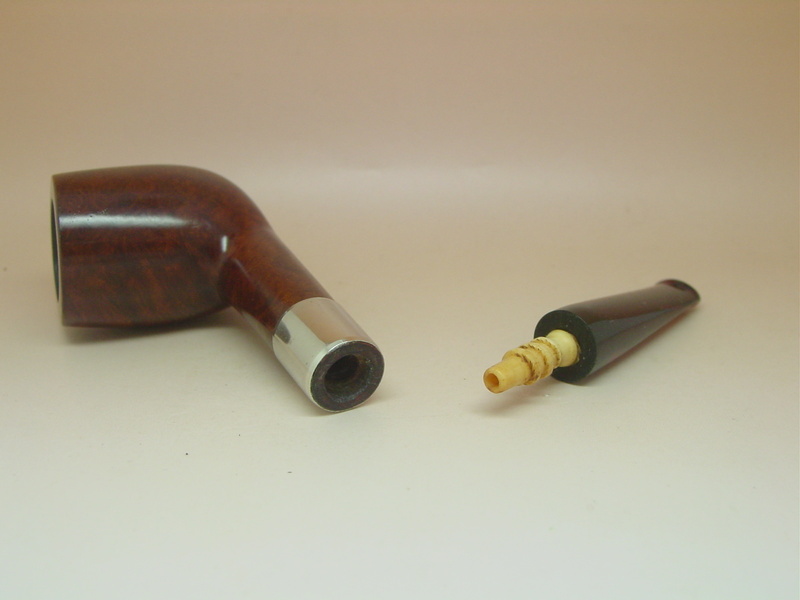 The ruby Bakelite stem is in very good condition. There are some faint scratches on the topside and there is a hard to see fill at the underside of the bit. The bone tenon is an OEM replacement. It has seen very little smoking time and the stem alignment is perfect. I doubt the case is original to the pipe. But it is a perfect fit. The exterior is dry and shows wear, but it isn’t flaking. The hinges and clasp function perfectly. The dark green interior felt is clean and in good condition. It shows a shield logo with the letters FEC that sports a banner with the words “Finest Quality Bakelite”. The FEC logo is what makes me doubt the case is original to the pipe. 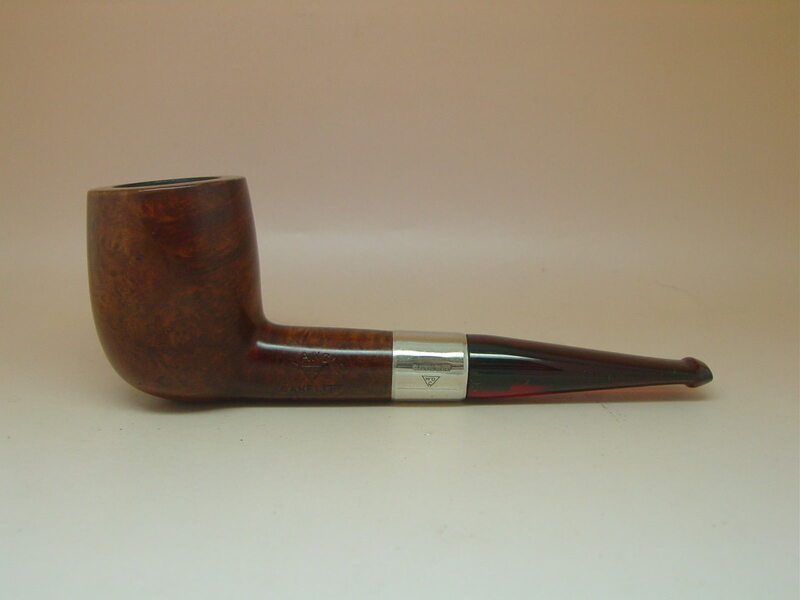 The pipe measures: 4.5” x 1.75” with a .75” bore. It is clean and ready to smoke. $85 shipped USPS Priority. Send me a private message for details. Nice pipe & I just love those stems.